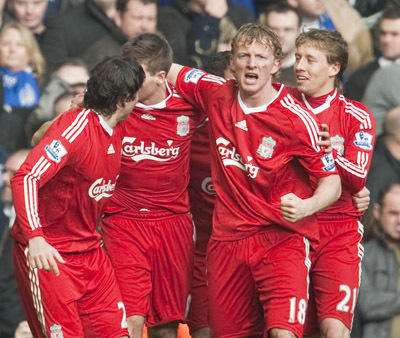 It seems Kuyt developed himself to a regular goalscorer. The Dutchmen scored in abscence of Torres last week and more important in last weekend's derby. The Reds climbed to the fourth spot at the league table by now, overhauling Tottenham. The next stepstone will be Arsenal in an away match.